Listen (3:16) Where are we at today with stem cell research? Listen (3:58) Why are stem cells so useful? Listen (3:22) Is there still a PR problem? There are an estimated 7,000 rare or orphan diseases. But there are currently only treatments for about 5% of them. In this series, we've been exploring the promise of various new technologies to come up with more treatments and more cures. Today we are going to discuss the promising research with stem cells. Scientists have made dramatic advances with stem cells over the past ten years. Dr. Larry Goldstein, Director of the Stem Cell Program at UCSD is one of them. He’s been using stem cells as a new technology for understanding disease, such as the rare Niemann Pick Type C disease. Stem cell therapy is now FDA approved for certain cancers and is at the heart of numerous clinical trials for various diseases. Larry discusses the unique challenge that funding has proved for stem cell research and discusses whether there is still a PR problem holding back future research. 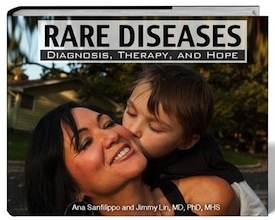 "Rare Disease Horizons: The Hope of New Research and Technology" is underwritten by the Rare Genomics Institute.